Riley B. King was born in 1925 on a cotton plantation in a town called Berclair on the famous Mississippi Blues Trail. When young, King was in a gospel choir where he learned to sing and the joy of music and how it made others feel. It all started on the ministers Sears Roebuck Silvertone Guitar, where King learned his first three chords. Since then, B.B King has become quite the legend in music and an iconic figure across many platforms of entertainment. This brings us to his greatest hits compilation that has been carefully remastered and released on Vinyl, because who doesn’t love that old school format of recording and the fidelity of a needle scratching wax to create audible qualities many have forgotten? Long question I know, but the answer should be yes! From his earliest hits to later in life, Ladies and Gentlemen is the ideal B.B King hits collection any fan of blues should want adorning their wall and vinyl collection. Featured in this article is a special video where we learn the process of how this vinyl was made and the technology that helped bring it to life. The most interesting thing about this collection is the prestige of musical hits and how they are are paced perfectly together. Think it Over, The Thrill is Gone, and many many more hits are fit into a 4 sides [2 Vinyls] of majesty and top shelf quality. While King maintained a love for music, he also stated in a interview not too long ago about life in his hometown and how much of the world he didn’t know about. “A lot of the people, including myself in the early years, just thought this was it, you raise your families and you get old, you die, your families take over, kids, what have you,” King said. In 1947, King moved to Memphis, TN where he played on the streets and soon made his first recording. The rest from here is literally history. Making 60$ a week from a radio station and going out to pick cotton, King did everything to make a living in his new scenery to further sustain his life and continue to play gigs on the side. 3 O’Clock Blues proved to be the turning point in Kings Career. From 60$ a week to 400$ or even 500$ a day, things turned around and he began to reach a wider audience. This can prove to be a lesson of patience to any aspiring musician who doesn’t have the silver spoon start in life or in musical teaching. Just keep pushing on and learning and working hard to make that dream happen. If you have soul, you’ll make something of it all. 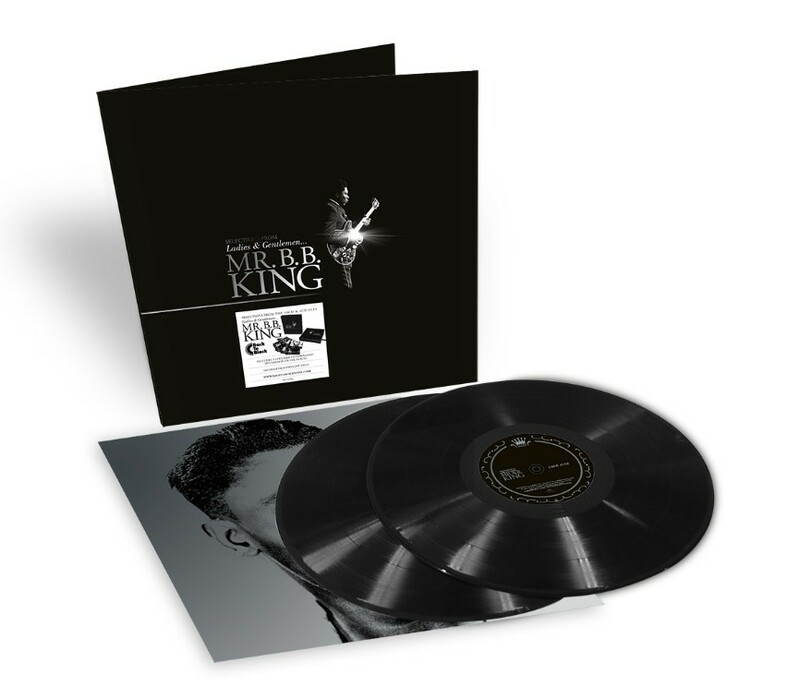 Ladies and Gentlemen may be one of the many greatest hits compiled of B.B King’s illustrious and iconic career, but what it should mean to many is the special Vinyl presentation that was created of new and old school tech and audio mixing to ensure that is a live in your room setting. That setting also creates a warm atmosphere the blues is often known for. So if it’s CD or Vinyl, any music enthusiast should pick up B.B King in any format and do themselves a favor in listening to one of the worlds iconic musicians who put in his heart and soul. Sadly prior to this release we lost B.B King after decades of musical bliss and his approach to life. With that said, Pick this up and find something that you can relate to or tap your foot in rhythm with. Personal Favorite Tracks: Think It Over, The Thrill is Gone, Worry Worry, When Love Comes to Town, Get These Blues Off Me, There Must Be A Better World. B.B King, Blues, contrast Control, Ladies and Gentlemen, Vinyl. Bookmark.